President Donald Trump ramped up his pressure on the Fed on Friday, saying it should cut rates and start quantitative easing. The Federal Open Market Committee recently signaled it would hold rates steady this year. Trump’s pressure on the central bank has raised concerns about the Fed’s reputation as an institution that is independent from political influence. 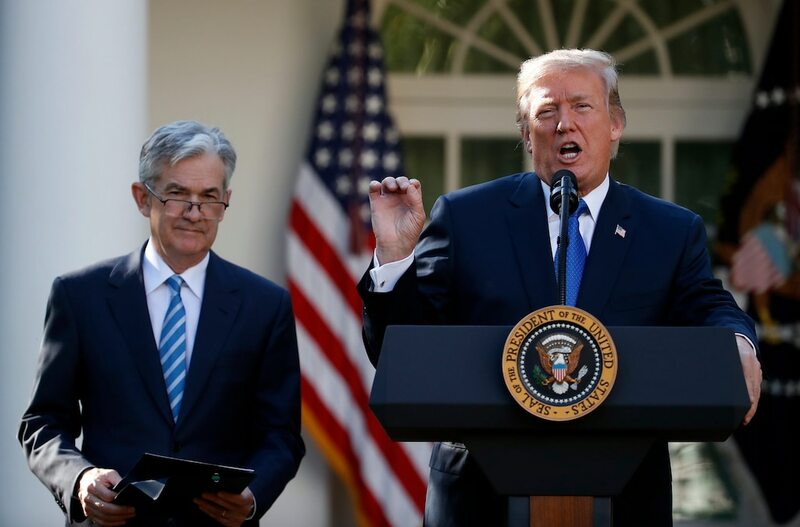 President Donald Trump blamed the Federal Reserve for slowing growth Friday, saying it should slash interest rates and start injecting money into the economy. He also pushed the Fed to return to a bond-buying process known as quantitative easing, which was launched following the Great Recession. Past presidents have generally tried to avoid commenting on Fed policy out of respect for its independence from political influence. But Trump and his administration have continued to pressure the central bank, even as it steps back from hikes. Pointing to new strains in the economy, the FOMC said last month that interest rates would likely remain steady this year. Officials last raised its benchmark interest rate in December, bringing it to a range between 2.25% and 2.5%. But they stopped short of signaling that the next adjustment would be a cut, penciling in an increase in 2020. “The Fed isn’t poised to consider a rate increase in the near-term, but officials also aren’t prepared to cut rates as many investors seem to be hoping,” said Mark Hamrick, a senior economic analyst at Bankrate.